A man was sentenced to life in prison without the possibility of parole for his role in the beating death of a USC graduate student from China who was attacked near campus while walking back to his apartment after a study session. Kim Baldonado reports for the NBC4 News on Friday, March 8, 2019. A 22-year-old man was sentenced to life in prison without the possibility of parole Friday for a brutal baseball bat attack that killed a USC electrical engineering graduate student. Alberto Ochoa was convicted of first-degree murder for his role in the beating death of the student from China who was attacked near campus while walking back to his apartment after a study session. A downtown Los Angeles jury deliberated about two hours before finding Ochoa guilty last Dec. 12 of the July 24, 2014, attack on 24-year-old Xinran Ji. Ji was able to stagger away from the attack scene and reached his nearby apartment, where he was found dead by one of his roommates. Jurors also found that Ochoa was an "actual killer," along with finding true the special circumstance allegation of murder during the commission of an attempted robbery and an allegation that he used a baseball bat during the attack. The panel also found him guilty of one count each of assault with a deadly weapon, robbery and attempted robbery involving an attack on a man and woman at Dockweiler Beach about two hours after Ji's beating. Three other people have already been convicted and sentenced in connection with the deadly attack. Ochoa could face life in prison without the possibility of parole. But under state law, the young man is expected to receive a parole hearing after spending 25 years behind bars given that he was 17 at the time of the crimes, Deputy District Attorney John McKinney said outside court. The prosecutor called the attack "incredibly brutal." "Mr. Ji suffered through a nightmarish and hellacious beating. The coroner described the blows to his head as blows that he typically sees in high-impact car accidents," McKinney said, noting that Ji was attacked while walking alone near the campus after walking a fellow student home following a study group meeting. In his closing argument, defense attorney Christopher Chaney had urged jurors to acquit his client of the murder charge. He told jurors that "Mr. Ochoa is not guilty of the murder of Mr. Ji." "I don't see a bat. I don't see a swinging of a bat," the defense attorney said of surveillance video from the scene. "He (Ochoa) withdrew seconds after it started," Chaney told jurors, noting that the surveillance video shows Ochoa getting back in the car and not participating with Guerrero and Garcia in a second attack on Ji after he was able to run down the street and around a corner. The prosecutor countered that Ochoa got out of a car while armed with a baseball bat and was a "substantial factor" in Ji's death. "You know Ochoa did something to him, his face ... that broke his skin," McKinney said, noting that the victim left a blood trail and that his broken glasses were found on the street where he was initially attacked. "Clearly he (Ochoa) was a major participant," the prosecutor told jurors. 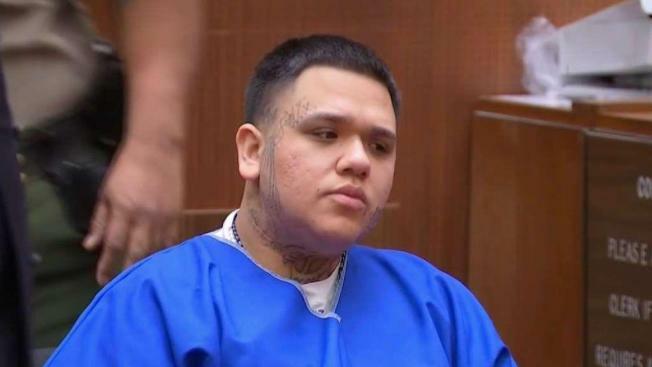 He told jurors to contrast Ji's decision to walk a female classmate home after a study session with the types of decisions that Ochoa and his friends made. He said Ochoa and his co-defendants targeted Ji because they thought he was an "easy target" who was walking alone in the dark. In a statement read in court last year at the sentencing for Guerrero and Del Carmen, the victim's parents wrote that "there is not a single day that we are not thinking of him with the deepest sorrow." "His future as a scientist was bright, but these criminals senselessly took his life at age 24. These criminals destroyed the best thing in our lives and our hopes. We live in sorrow and darkness every day," the victim's parents wrote in their statement, which was read in court by the family's attorney. "Our lives will never be the same without our son. The holes in our hearts will never heal, but we hope justice will help us deal with our grief and darkness that haunt us." Ji's killing occurred two years after two other USC graduate students from China were shot to death during an April 2012 robbery as they sat in a car that was double-parked on a street near the USC campus. Two men -- Javier Bolden and Bryan Barnes -- were convicted and sentenced to life in prison without the possibility of parole for the killings of Ying Wu and Ming Qu, who were both 23.